Please check below for sealed Kosher Certified scroll. 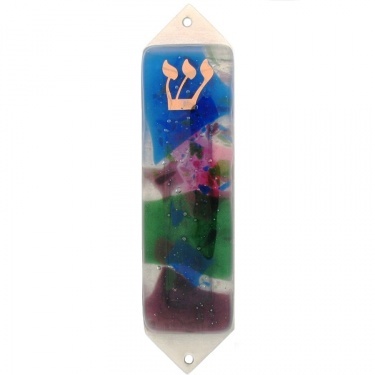 Beames Floral Mezuzah Case is made with pewter and fused glass. Each Mezuzah is one of a kind. Measures 1"L x 4.5"H. Kosher scroll available to purchase separate.